High Deductible Healthcare Plans continue to grow in frequency despite some industry expectations that they may slow down. Patients are now the #3 payer in diagnostics behind Medicare & Medicaid. Visit Quadax at our booth or contact us if you are unable to attend Q1-West and want more information about how Quadax can help with your revenue cycle and reimbursement challenges to accelerate your cash flow. Insights you need to make better, more Informed decisions, faster. Combining a suite of software-enabled services with industry best practices, Quadax empowers clients to drive costs out of the healthcare revenue cycle. By automating the highly complex workflow associated with revenue cycle management, Quadax is the only partner in the industry delivering full integration, customization without custom development work, value-based billing and accounts receivable systems, revenue cycle management services, and electronic transaction management systems. 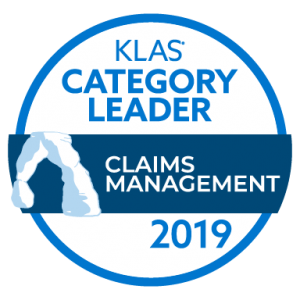 With over 45 years of experience, Quadax facilitates over 165 million claims annually from over 9,000 hospitals, physician offices, laboratories and other healthcare providers, and connects to nearly 4,000 active payers nationwide. To learn more, visit us at www.quadax.com or follow us on LinkedIn or Twitter.